On December 30, the United States submitted its fourth periodic report to the United Nations Committee on Human Rights concerning the International Covenant on Civil and Political Rights (ICCPR), which is one of the most important human rights treaties that the United States has ratified. In a major departure from a prior Bush Administration report, sexual orientation and gender identity issues featured prominently in this current submission, with an honest and reflective perspective on the state of LGBT rights in the United States. The report chronicles recent progress made to advance LGBT equality at the federal and state levels, including the repeal of “Don’t Ask, Don’t Tell,” the passage of hate crime legislation, support for a variety of family recognition mechanisms, and the legal recognition of gender identity discrimination in the workplace. 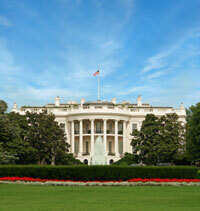 The White House as issued a proclamation commemorating June as LGBT Pride Month. The massacre at Srebrenica was a tragedy, but the Dutch army’s policy allowing gays in the military had nothing to do with it. Gen. John Sheehan, the former NATO commander, told a Senate committee this month that part of the blame for one of the last half-century’s most famous atrocities — the massacre at Srebrenica during the Bosnian war — rested on gays in the Dutch military. Homosexuals in the Dutch military had depleted the forces’ morale, he argued to the senators, and made them “ill-equipped to go to war.” And that was in part why they failed to prevent Bosnian Serbs from massacring more than 8,000 civilians in the former haven of Srebrenica in July 1995. Sen. Carl Levin (D-Mich.) seemed incredulous at the testimony. “Did the Dutch leaders tell you it was because there were gay soldiers there?” he asked. “Yes,” Sheehan said. “They included that as part of the problem.” He even claimed that the former Dutch commander of the U.N. peacekeeping force had told him this was true. As a former member of the Dutch parliament and a spokesman for the parliamentary investigation into the 1995 Srebrenica massacre in Bosnia, I know the history that the retired U.S. Marine Corps general tried to rewrite, and I was astonished by his homophobic concoctions. During two weeks of public hearings on the massacre, Dutch parliamentarians heard many expert witnesses. Not one hinted at sexual orientation as a relevant factor. Srebrenica was no moment of pride for the Dutch military. But soldiers’ sexuality had nothing to do with the failure to protect. The Dutch parliamentary investigation placed blame squarely on Ratko Mladic for the mass killings of Muslim men and boys. Mladic was the Bosnian Serb military commander during the war in Bosnia. A fugitive, he has been indicted by the International Criminal Tribunal for the Former Yugoslavia on charges of genocide and crimes against humanity for his role in the massacre after Srebrenica fell. It was arguably the worst atrocity on European soil since the Holocaust. But Sheehan uttered no word about Mladic and expressed no outrage that he is still at large while thousands of men and boys have been consigned to mass graves. Instead, he put the blame on the sexuality of Dutch troops. After the general’s statement, the Dutch prime minister and the ministers of Defense and Foreign Affairs issued statements of disbelief and shock. Former Dutch Defense chief of staff Gen. Henk Van den Breemen, who was supposedly Sheehan’s source, dismissed his testimony as utter nonsense. Sheehan’s remarks insult not only the Dutch military but lesbians and gays around the world — men and women perfectly capable of defending themselves, their comrades and their countries. Since 1974, the Dutch military has recruited soldiers based on their physical and mental capability, irrespective of race, sexual orientation or religious belief. The Dutch army was the first in the world to open its military formally to gays and lesbians. Now it holds this policy in common with many countries, including Britain, Canada, Israel, South Africa, Italy, Spain, Lithuania, the Czech Republic and Australia. As a member of the Dutch parliament’s Standing Committee on Foreign Affairs and Defense, I visited Dutch troops in Afghanistan in 2004. In Kabul, the Dutch worked closely with American forces. Not one American commander had a word of criticism for their Dutch comrades because some were gay or lesbian. They were jointly fulfilling a U.N. mandate to combat the Taliban. On the ground, as everyone knows, only performance counts. Since 2006, the Dutch have been the lead nation in the NATO strategy for the southern Afghan province of Uruzgan, and more than 20 Dutch soldiers have died in Afghanistan. Disagreement over a plan to pull out of Afghanistan at the end of this year led to the collapse of the Dutch government. The Dutch army is no less competent because it respects nondiscrimination and equality, principles dear to the American public. Sheehan seems to think Congress will be distracted from the need to end “don’t ask, don’t tell” by hearing outrageous lies about Dutch soldiers and one of the worst war crimes in recent history. Let’s hope he is wrong. His surreal testimony before the Senate Armed Services Committee showed that the die-hard defenders of the discredited policy have run out of ammunition. It is past time for a policy founded on fantasy and fear to go. Sheehan’s false testimony shows the hypocrisy of such a policy. The U.S. military should focus on its real challenges. Let “don’t ask, don’t tell” die. Boris Dittrich is advocacy director in the lesbian, gay, bisexual and transgender rights program at Human Rights Watch. So finally, the health care juggernaut is broken! 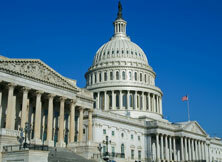 We share the view that the new health care reform law, while not perfect, is a step forward. And after a year-plus of debate, it’s time to move on to other tasks. One of those, of course, is the need to provide genuine equality to LGBT citizens in the U.S. The Employment Non-Discrimination Act (ENDA) has been treading water on Capitol Hill for over 15 years; there’s no justification for delaying any further this basic workplace non-discrimination bill. The Domestic Partnership Benefits and Obligations (DPBO) bill, which would allow the families of gay federal workers to enjoy the same benefits as the families of their straight colleagues, has been marked up in both houses; it needs to be given floor time by Nancy Pelosi and Harry Reid. And repealing “Don’t Ask, Don’t Tell” is long-overdue: not only does a clear majority of Americans favor its repeal, our military needs the talents of the men and women it’s booting out for reasons unrelated to workplace performance. Enacting these pieces of legislation is, of course, the right thing to do. But it also would set the right example for other countries that are beginning to grapple with calls for LGBT equality overseas. It’s time for the U.S. to become the model it claims to be in promoting one of democracy’s genuine tenets, which is equal rights for all citizens. For months the pundits have debated health care. But restoring America’s commitment to equality matters is equally important to the health of our country. Those who lead our movement, and those who lead our country, should recognize that there has been, and will be, no better time to move this equality agenda forward than now. When the chips were down on health care, President Obama and the Democratic leadership of both houses sprang into action. It’s time for them to show the same sense of arm-twisting resolve in moving these bills to a vote this year. True champions of equality and fair-mindedness on either side of the aisle should have no hesitation in moving these bills forward without further delay.